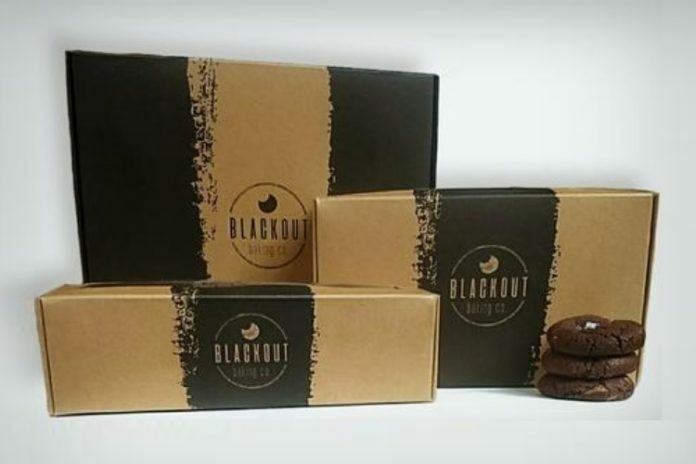 Blackout Baking Co. is a startup bakery by Shana Taveras offering bite-size gourmet cookies. Every cookie they make is unique… from the soft truffle fillings, to the macaron cookie, and the extra sparkle. Sample and shop the BLACKOUT Baking Co. cookies at the Oak Brook Artisan Market at Oakbrook Center on Sat & Sun, May 18-19, 2019. This 2-day outdoor market showcases the Midwest’s finest artisans in fashion, food, home goods + art. With Shana’s background in design, there’s an obsessiveness that goes into every detail from the texture, flavor balance, shape of the cookie, packaging, etc. The signature BLACKOUT Cookie (chocolate on chocolate on chocolate) is a chocolate cookie with milk chocolate chunks, filled with dark chocolate ganache, and sprinkled with sea salt. • Chocolate Chip Shortbread Cookie – Crunchy, chewy, sweet & salty. This cookie will keep you up at night… coated in sugar and sprinkled with sea salt. 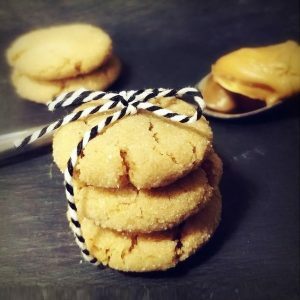 • Peanut Butter Cookie – We call and raise you a CREAMY peanut butter center… coated in sugar. • Sugar Cookie – The perfect bite of rich, buttery vanilla deliciousness that melts in your mouth… a classic sugar cookie, coated in sugar and edible glitter. Be sure to check with them every month for the cookie of the month flavor – for December, they’re offering a Peppermint Cookie and a Mint Blackout Cookie. Perfect for gifting and events, they strive to create BLACKOUT worthy cookies that will bring your back to your childhood, but push boundaries with new flavors, textures and forms. The BLACKOUT Baking Co. are bakers who make fresh cookies without preservatives, always using the best ingredients available. Blackout Baking Co. was born across the pond through an obsessive journey to bring Londoners the perfect bite of Americana with a cookie (not biscuit). As a current one-woman show, Shana has been working on the concept for about three years. Since the inception, life happened and Blackout Baking Co. moved to Chicago.